Did you know that the need for qualified manufacturing professionals increases each year? These aren’t your typical manufacturing jobs - these are careers in fields such as engineering, technology development, logistics and manufacturing. While women make up approximately half of the overall labor force, only about 25 percent of manufacturing roles are held by women. To help close this gap, the Manufacturing Institute launched the STEP Ahead initiative. As part of the initiative, the organization recognizes and honors women in the manufacturing industry, from the shop floor and design labs to the executive suite, who have demonstrated excellence and leadership in their careers. 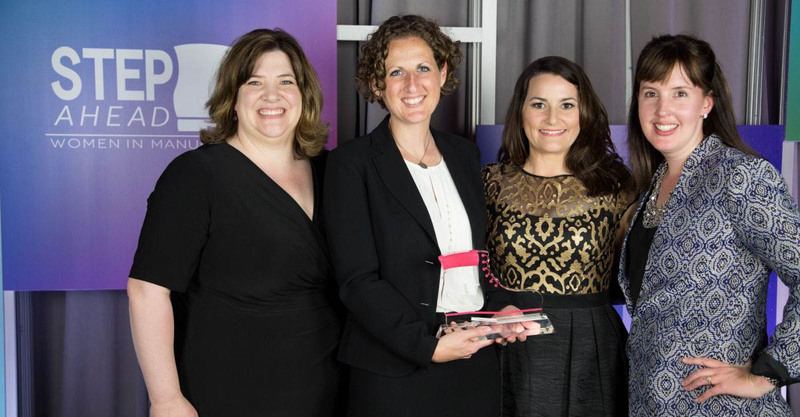 The STEP Awards initiative gives resources to its network of manufacturing professionals to share with their employers to help more women engineers develop and advance during their careers. Caterpillar is meeting this challenge by having a clear strategic vision that requires the best talent to execute, providing great opportunities for growth - including manufacturing, technology, engineering and production. STEP Awards recipients - and countless other Caterpillar employees - are working to inspire the next generation female leaders to pursue a career in manufacturing.